Kevin Corcoran Jr. is an award-winning college educator, professional speaker, and published author who is constantly blending education, engagement, and exploration. Over the years, he has worked with SDSU, Apple, Sony, TEDx, Red Bull, Coldwell Banker, American Red Cross, and various startups in Southern California. With talks that are exciting, engaging, and energetic, Kevin is widely recognized for his skills in mindfulness, public speaking, team-building, and communication. When he is not speaking, you will probably find him taking deep breaths, enjoying the outdoors, and finding the fun in everyday life. Time: 9:10 a.m. - 10:00 a.m.
Time: 10:10 a.m. - 11:00 a.m.
Time: 11:10 a.m. - 12:00 p.m.
Time 1:40 p.m. - 2:30 p.m.
Dr. Patrick is a business ethics lecturer at San Diego State University for the Management Department in the Fowler College of Business, and has taught both on campus and abroad—including teaching in Barcelona, Spain, Prague, and Czech Republic. She is a regular guest lecturer at other educational institutions, including the University of San Diego and Horizon University. 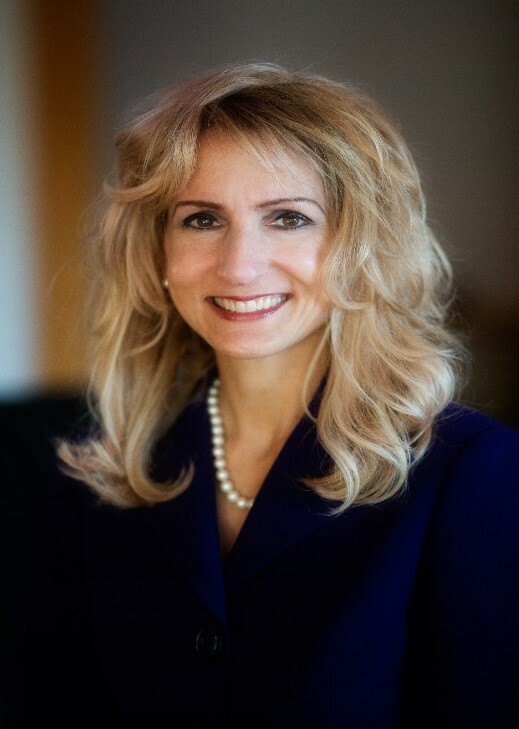 Dr. Patrick is also a career trial attorney, recognized by her peers as one of the Top Ten Criminal Attorneys in San Diego by the San Diego Daily Transcript, and named the Public Lawyer of the Year by the California State Bar Public Law Section. Dr. Patrick has completed over 160 trials ranging from hate crimes, to domestic violence, to first-degree murder. She is the author of Red Flags: How to Spot Frenemies, Underminers, and Ruthless People (St. Martin's Press, 2015) and co-author of the revised version of the New York Times bestseller Reading People (Random House, 2008). Time 10:10 a.m. - 11:00 a.m.
Dr. Henry Villegas possesses over 30 years of experience in higher education leadership in the area of student development. After working in athletics administration for 27 years, most recently as the Associate Athletic Director for Student Development at the University of New Mexico, Dr. Villegas joined the staff at SDSU EOP & Ethnic Affairs in 2016. He currently serves as the Associate Director, where he leads the program's retention efforts, oversees the counseling team, the learning support center, and the EOP freshmen transition programs. Dr. Villegas is also a former SDSU EOP student who has a personal understanding of the impact of intentional student support services program and their impact. His research areas include the impact of targeted student support on underserved populations and the application of student development theory in higher education support services. Robert Guzmán is currently a counselor for the Educational Opportunity Program at San Diego State University and a lecturer for the Center for Latin American Studies where he teaches the History of Mexico and two film study courses on Latin America. Mr. Guzmán was also the EOP tutoring supervisor (2006-2016) where he managed tutorial support to over 3,000 EOP students. Mr. Guzmán has over 30 years of experience working in higher education with expertise in Financial Aid, Admissions, Outreach to local communities, and Internship development. He has received numerous institutional grants to expand the services at SDSU’s EOP tutorial center as well as with the creation of outreach support services for historically marginalized students. Mr. Guzmán currently supervises the EOP Transfer Bridge Program, a transition program designed to help first-year transfer students to become connected with the University. He is the advisor of the EOP Student Advisory Board and is working towards developing two more: the EOP Student Parent Association and the EOP Men of Color Organization. Mr. Guzmán received his B.B.A at the University of North Texas in 1991, his M.A. in History in 2002 and working towards his Ed.D. degree in Higher Education Administration. Luke Winslow (Ph.D., The University of Texas at Austin) is an Associate Professor of Communication at San Diego State University. He joined the faculty at SDSU in 2014 after teaching for five years in the Department of Management at The University of Texas at Austin. His teaching and research interests include contemporary rhetorical criticism, political communication, and rhetoric and religion. He is also a member of SDSU’s Faculty-in-Residence community serving the Villa Alvarado residence hall where he lives with his wife, Addie, and two sons, William and Benjamin. Dr. Lindemann earned his Ph.D. from Arizona State University in 2006. After earning a B.A. in Communication and Theatre Arts and Written Communication from Eastern Michigan University, he received an M.S. in Communication from Illinois State University in 1995 and an M.A. in English Language and Literature from Eastern Michigan University in 1997. He has been teaching at SDSU since 2006. He was the Basic Course Director at SDSU until 2013, teaching thousands of students about communication and public speaking. Megan Prager is a Certified Mindfulness Based Stress Reduction Instructor, a Certified Mindful Self-Compassion Instructor, Compassion Programs Director at UC San Diego Center for Mindfulness, and Adjunct Faculty at San Diego State University. In addition to teaching mindfulness-based programs, Megan specializes in developing and delivering mindfulness trainings for Fortune 500 companies as well as for educational, healthcare, and academic settings. Megan is one of the founders of the UCSD Center’s Work-Life Integration Program and co-founder and teacher trainer for the UCSD Professional Training Institute’s 9-Day MBSR Teacher Training Practicum. In all her ventures, Megan’s passion and mission are the same: to empower individuals with an understanding of the important role they play in shaping their lives and well-being. Megan believes that through compassionate awareness, individuals are able to utilize the best resource they have: themselves. Time: 1:40 p.m. - 2:30 p.m.
Dr. Edward J. Blum is professor in the History Department at San Diego State University. He received his B.A. from the University of Michigan and his M.A. and Ph.D. from the University of Kentucky. He is the author and co-author of several books on religion and race throughout United States history, including Reforging the White Republic: Race, Religion, and American Nationalism, 1865-1898 (2005; reissued 2015), W. E. B. Du Bois, American Prophet (2007), and The Color of Christ: The Son of God and the Saga of Race in America (2012). Blum is the winner of numerous awards including the Peter Seaborg Award for Civil War Scholarship, the Gustave O. Arlt Award in the Humanities, and the John T. Hubbell Prize for best article published in Civil War History in 2015. Jessica Keith has spent the majority of her career advising students at CalTech, UCSD and SDSU. Her greatest professional achievements, however, have come when she was willing to take a risk. She worked in the Basque Country for the Spanish Embassy and was one of the first employees hired to establish the west coast educational division for the Consulate of Kuwait. She developed and produced "Beyond Our Boundaries, Interchange Between International and American Women,” an educational video that was purchased by Berkley Media LLC, which is distributed to universities and organizations across the U.S. You can find her on campus, as she is a lecturer at SDSU for Cultural Adaptation to U.S. Academic Culture. She is also currently writing a book on the journey of a Jewish woman discovering herself while working for a Muslim government. Her official Masters is in International Education, but she has an imaginary Ph.D in patience as she raises her three children. Dr. Eve Kornfeld is Senate Distinguished Professor and Professor of History at San Diego State University. She earned her B.A. at Princeton University and her M.A. and Ph.D. in History at Harvard University, and has taught in Harvard’s History and Literature concentration, Princeton’s History and European Cultural Studies departments, and SDSU’s History, MALAS, Honors, and Arts Alive Collaborative programs. Her books were published in the Bedford Series in History and Culture of St. Martin’s Press, and her articles appeared in the William and Mary Quarterly, Journal of the Early Republic, Journal of American Studies, Canadian Review of American Studies, New England Journal of History, Pennsylvania History, History Teacher, and the Journal of American Culture. She has served on the governing board of the American Culture Association. She received SDSU’s Excellence in Teaching Award in the Humanities and Social Sciences in 2017, and the Senate Excellence in Teaching Award in 2018. Professor Kornfeld began experimenting with metacognition in her classes at SDSU two years ago. She led two SDSU Center for Teaching and Learning workshops on metacognition: the first for new faculty at the inaugural SDSU Symposium on High-Impact Teaching in August 2017, and the second in a hour-long CTL workshop (where her students joined her to testify to the value of metacognition) in spring 2018. She also presented her research and practice with metacognition in an hour-long solo session at the CSU-wide conference on “Productive Disruptions” at Cal Poly Pomona in spring 2018. She is eager to share this approach to self-knowledge and self-realization with SDSU staff. Bruce Urquhart, Professional Land Surveyor, has almost four decades of experience in the land surveying and management disciplines. He retired after 37 years with the State of California Department of Transportation (Caltrans), while concurrently teaching as an adjunct professor in the Civil Engineering Department at San Diego State University (SDSU) for 27 years, where he continues today. Mr. Urquhart earned his Bachelor of Arts degree in Geography from SDSU in 1978, and joined Caltrans that same year as a student assistant. The following year he transferred to Surveys, and spent the rest of his career as a working member of a survey crew, a Party Chief, and a Field Surveys Supervisor. In 2006, he was promoted to Division Deputy Director of Surveys and Right-of-Way Engineering. Mr. Urquhart’s position at SDSU, teaching Surveying for Civil Engineers, has allowed him the opportunity to engage students not only in the class material, but to offer his insights with undergraduate students destined to become Civil Engineers. He is in his fifth year of volunteering as a mentor with the SDSU Aztec Mentor Program (AMP). His unique understanding of how civil engineers function in the workplace, and being able to share these experiences with soon-to-be graduates, gives him great satisfaction in “paying it forward” to the next generation of engineers of San Diego State University. Christy Rink has spent the past 20 years working in various corporate, business administration, and teaching positions. Being a curious individual, she holds degrees in psychology, education, and business administration. She is a growth-minded individual who loves to learn and improve, find creative solutions, share ideas, and hear people’s stories. Come this fall, you’ll find her pursuing a degree in student development administration with an eye towards working in academic advising, life coaching, and mentoring in a university setting. Marilee Bresciani Ludvik, Ph.D. serves as a professor of postsecondary educational leadership at San Diego State University. Prior to that, she served as Assistant Vice President of Institutional Assessment at Texas A&M University and in a variety of student, academic affairs, and alumni relations leadership roles at various types of institutions. Marilee has empowered over 200 institutions and their leaders on organizational learning assessment and accountability decision-making processes. In addition, Marilee assists organizational leaders identify and leverage opportunities to collaborate across division lines, using mindfulness-based inquiry practices, nonviolent communication, difficult conversation practices, paradigm busting processes, compassion practices, restorative justice, and design thinking. As a transformational life coach who uses the evocative method (certification scheduled for March 11, 2018), Marilee is a Fellow of the Institute of Coaching at McLean Hospital, a Harvard Medical School affiliate. Marilee is a certified meditation and yoga instructor, certified Search Inside Yourself Leadership Institute teacher, and a Mindfulness-Based Stress Reduction teacher on the certification path. Marilee’s research focuses on using translational neuroscience and mindful compassion practices to inform the design and evaluation of workshops, curriculum, and coaching practices to decrease students’, faculty, and administrators’ stress and anxiety while also increasing their attention and emotion regulation, cognitive flexibility, and enhancing compassion, inquiry, creativity, and overall well-being. La Monica Everett-Haynes, who serves as Interim Associate Vice President of StratComm, and as the Chief Communications Officer at SDSU, holds more than 20 years of combined experience as a journalist, communications professional and higher education researcher and scholar. In her current role, she leads a team of 14 professional collectively responsible for advancing institutional effectiveness in marketing, communications and both community and governmental affairs. StratComm’s initiatives reach ever-expanding audiences, including SDSU's 420,000-plus alumni, San Diego's 3 million residents and communities around the world. Through news media, government relations, campus programs and community outreach, StratComm develops initiatives that support the university's mission, projects and programs — namely excellent teaching, research, community service and global impact. Prior to SDSU, Everett-Haynes held progressively responsible experience over a 10-year period with the University of Arizona’s centralized communications team. She last served as Assistant Director of News Editorial, responsible for high-volume, high-impact content production and strategic regional and national media placement for institutional initiatives, undergraduate research, academic outcomes, the arts, humanities, social sciences and education. She regularly landed earned media placements in regional, national and, at times, international-facing publications, including the The Washington Post, U.S. News & World Report, the Huffington Post, Slate, the Atlantic and the New York Times. The ability to communicate is largely taken for granted since it is an act that we all have done daily since birth. Rarely do we feel that we need to improve in this area of life. Another important area of our lives is the relationships that we build and maintain with colleagues, supervisors, subordinates, friends, family, and romantic partners. This is a workshop that breaks down what it means to be a competent communicator in a variety of these environments and relationships. It includes the theory and practice of these ideas so that people can quickly and easily implement these concepts into their everyday life. It defines the notion of competence as well as provides guidelines and tips for future use. You will be able to walk out and start to immediately apply this discussion to improve the relationships in your professional and personal lives. Session: How to be a Competent Communicator! After a thought-provoking Keynote Address on last year’s staff development day, Dr. Marian Liebowitz, Professor Emeritus in Music Entrepreneurship, is back with more specific tips for turning your job into a career and finding new inspiration using talents you may not know you have! Informed by her years working with hundreds of people on their next career steps, participants will enjoy her light-hearted yet focused approach to bringing more impact to themselves and others. Session: The Hunt for Buried Treasure: Let's Maximize our Impact! Billy Fallon is a full-time lecturer at San Diego Sate University. He received his Bachelor's Degree in Communication from San Diego State University in 2003, and continued on to earn his Master's Degree in Communication from San Diego State in 2005. He has taught at the University of San Diego, Grossmont College, Miramar College, and San Diego State University. His teaching expertise is in the areas of public speaking and professional communication. In addition to teaching at the university level, he has worked with clients in corporate, non-profit, and military arenas. Billy has won speaking awards, and continues to speak publicly. He conducts communication workshops that focus on public speaking, professional communication, interpersonal communication, and communicating humor. He lives in San Diego with his wife, and has two grown children. Ken is currently working on his dissertation from the University of North Carolina Greensboro in Kinesiology. His dissertation is focused on identifying stress, exhaustion, and burnout along with providing strategies for an intervention. Ken has coached volleyball at the collegiate level for the last 15 years and currently serves as the women’s assistant volleyball coach at San Diego State University.